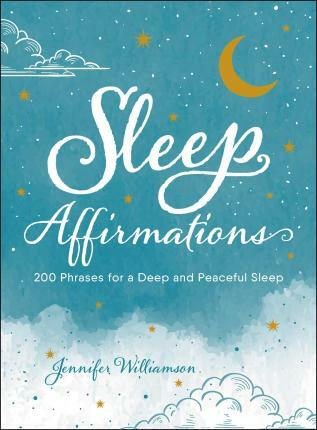 The perfect bedside companion, with 200 affirmations that will help you get to sleep-and stay asleep-and wake up refreshed. One out of three American adults have trouble getting to sleep each night-chances are you've spent some nights either tossing and turning, or waking up in the middle of the night and not being able to get back to sleep. This book helps you get into the best mindset for sleep, allowing you to enjoy deeper, more restful sleep through the power of 200 short affirmations, easily accessible in a flip-through format. These soothing messages will encourage you to leave the stressors of the day behind-and get ready to embrace the possibilities of tomorrow.